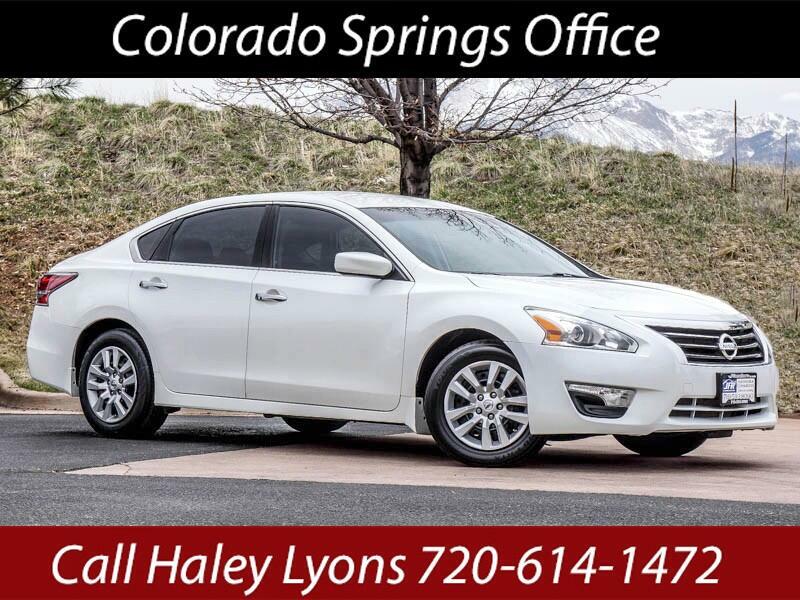 Used 2015 Nissan Altima 2.5 SV for Sale in Littleton CO 80120 JFR & Associates, Inc. This Nissan Altima is an outstanding family sedan with a quiet and refined ride quality. The four-cylinder engine provides excellent power for merging and passing and offers excellent fuel economy (City 27 - Hwy 38 mpg). Fewer stops at the gas pump add up to having more money in your pocket every month. It's easy to find your comfort zone when you settle into the supported and well-shaped front seats. This Altima comes with a variety of options like a power trunk lid, second-row folding seat, remote ignition, tilt wheel, CD player, Bluetooth integration, aux audio jack, separate driver/front passenger climate controls, plus lots more to make your driving experience more enjoyable.